It’s amazing how quickly prosecco has become the favourite tipple for so many women. Refreshing, slightly sweet, deliciously sparkly, low in calories and pleasingly cheaper than Champagne. What is there not to like about it? Well, if you want to know the answer to that question, then just ask your dentist about ‘prosecco smile’. We think you’ll not only be surprised, but somewhat horrified as well. Back in 2000 virtually no one in Britain had heard of prosecco and just two million bottles were sold in that year. Fast-forward to 2014 and that figure had soared to an astounding 28 million bottles. And it is still rising at an astonishing rate. So what about the ‘prosecco smile’ and how come this delicious drink is so ruinous to teeth? At Carisbrook, which is probably the leading dental surgery Manchester practice, we can tell you that we see, on a very regular basis, how many patients (mainly women) who have previously had beautiful and well cared for teeth are now showing disturbing signs of severe enamel erosion. Usually we find that this is most apparent on the front upper teeth, which of course are the ones that come into most contact with the fizzy drink. The reasons for this concern are simple. Firstly each flute of prosecco contains about one teaspoon of sugar, which in itself is enough to fuel the harmful bacteria in your mouth leading to an increased risk of tooth decay. The other big danger factor is of course the fizz. The bubbles in prosecco contain high levels of carbon dioxide, creating carbonic acid in your mouth, which in turn attacks and corrodes the enamel on your teeth. 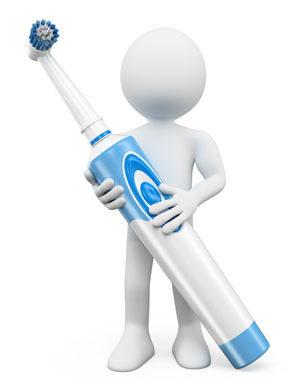 The Dental Surgery Manchester Specialists are here to help! As the dental surgery Manchester specialists we now advise vulnerable patients to restrict their consumption of prosecco. The ideal solution would be to drink it through a straw to minimise contact with the teeth. But we know that isn’t going to happen. So as part of our preventative dentistry and general dental hygiene advice we also recommend that if you have been drinking prosecco then you should make sure that you brush your teeth thoroughly and preferably with a pro-enamel toothpaste when you get home. Ideally if you are out partying it is wise to intersperse alcoholic drinks with water and to swill the water around your teeth to dilute the effects of the bubbles and sugar. That … or switch to a less damaging drink such as red wine, which has a lower sugar level and contains no carbon dioxide. If you are finding that your teeth, especially your front teeth, have become more sensitive of late then you may be experiencing the early effects of enamel erosion and you may need restorative dentistry to correct the damage. If you are at all worried then please do not hesitate to contact Carisbrook – the dental surgery Manchester practice – to arrange a preliminary appointment. You can call us on 0161 951 7295 or you can send us an online message by using the form on our Appointments page.